The tables are cleared, the mini-cash registers are closed and balanced, and the wheelable bookcases are packed and closed. The library looks a bit empty after our PTO’s Scholastic Book Fair closed last week. Don’t get me wrong, I am always relieved to get my circulation desk (also my personal desk) back and unpack when they leave. It is a challenge to move out of the place and teach my lessons on a cart, but overall Scholastic makes it pretty easy to “wow” the kids. 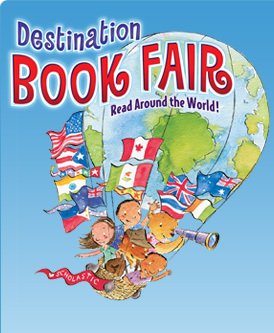 They market with a theme, which this year was Destination Book Fair- reading around the world. You should see it- the students arrive with books circled in the flyer, chomping at the bit to get in the library and spend every cent of the money they’ve brought in envelopes and Ziploc baggies. It’s priceless to see the excitement in their eyes when they walk into the wonderland that the PTO members create with these book fairs twice a year. Despite the economic conditions, the sales were good. Of course, we quickly sold out of Jeff Kinney’s latest hit, Diary of a Wimpy Kid: Dog Days. Also, it was great to have a parent purchase and donate the picture book, Dewey: There’s a cat in the Library! which I had on my wish list. I didn’t have the experience of my library transforming into a Book Fair growing up- the bookmobile came to our school and impressed us. Can you remember visiting the bookmobile? Do you remember the buzz in the school when it arrived? 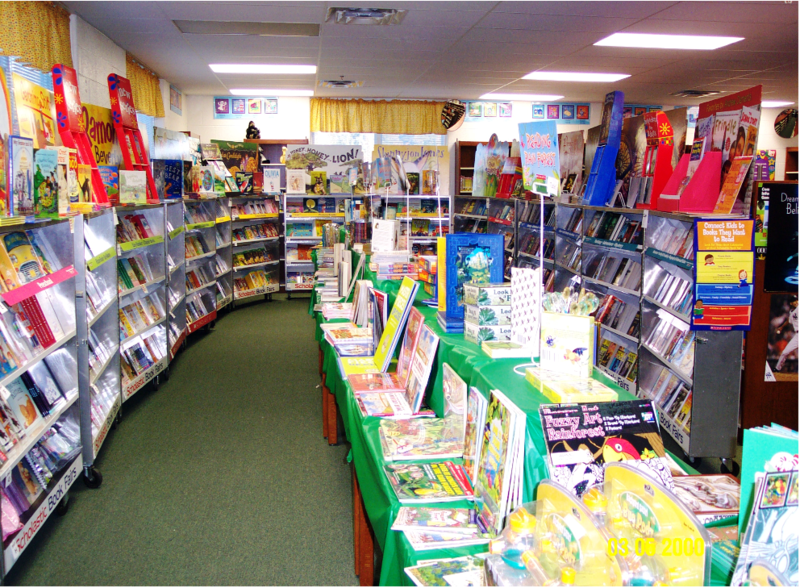 At my school, in suburban central New Jersey, we’d line up, a few students at a time, and head into the bookmobile to spend our money on a brand new book (I don’t remember buying the erasers, silly pens and pointers, posters, and all the tchotchkes they widely sell now). Bookmobiles are back in, apparantly, because in 2010, ALA is celebrating bookmobiles and their 100 years of service on National Bookmobile Day, Wednesday, April 14th, during National Library Week. 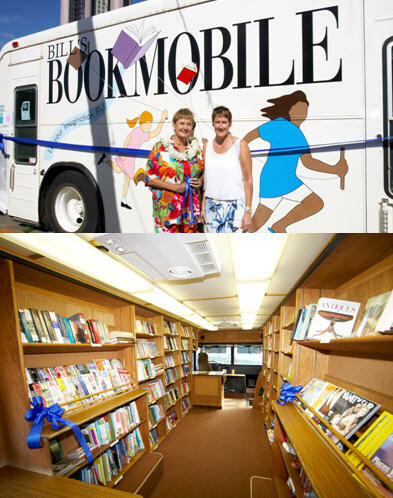 Bookmobiles are more commonly used by libraries now, to reach out into the community, but the idea is the same. Drive up, open the doors, and let the excited patrons, young and old, enter the magical kingdom of books. As librarians, we are lucky to have daily experiences with the joy of connecting people to new books. I feel extra lucky working with children, because they give us such uninhibited delight when they find the “perfect” book. Walking into a special place focused on books, whether it be a library, book store, book fair or bookmobile can be all we need to inspire our reading spirit. Happy Holidays to all of you for keeping that spirit alive.